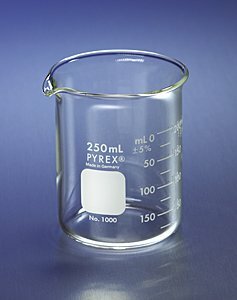 "250mL beaker, with spout, manufactured with uniform wall thickness, offers optimum balance between thermal shock resistance and mechanical strength. 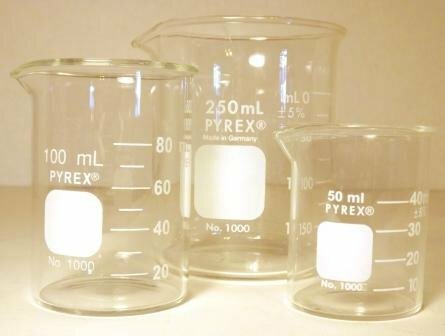 For convenience, these beakers have a double graduated metric scale to indicate approximate content and an extra large marking spot. 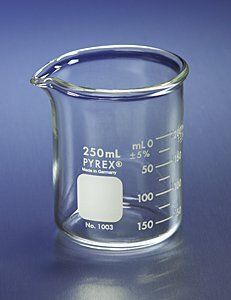 For PYREX® beaker covers, see Catalog No. 9985 or No. 9990. Reference: ASTM E-960. " 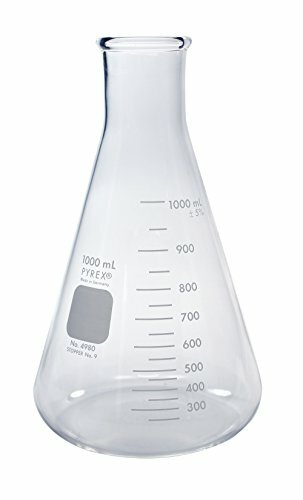 "100mL beaker, with spout, manufactured with uniform wall thickness, offers optimum balance between thermal shock resistance and mechanical strength. All sizes have an extra large marking spot. Reference: ASTM E-960. 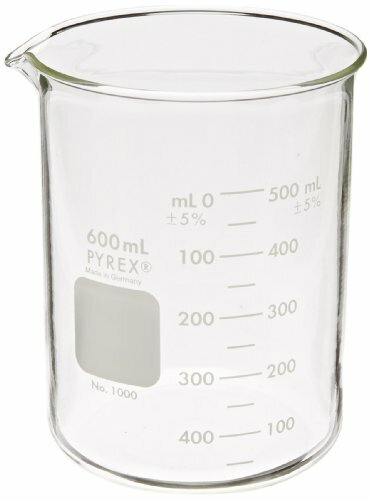 For PYREX® beaker covers, see Catalog No. 9985. " 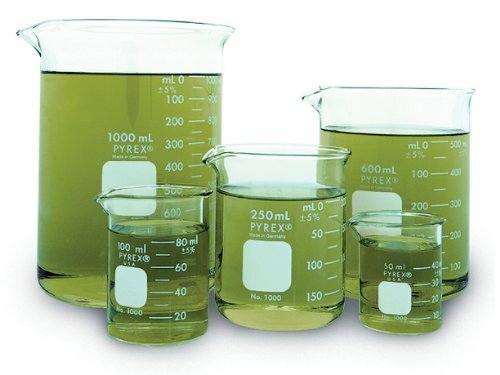 "1L beaker, with spout, manufactured with uniform wall thickness, offers optimum balance between thermal shock resistance and mechanical strength. 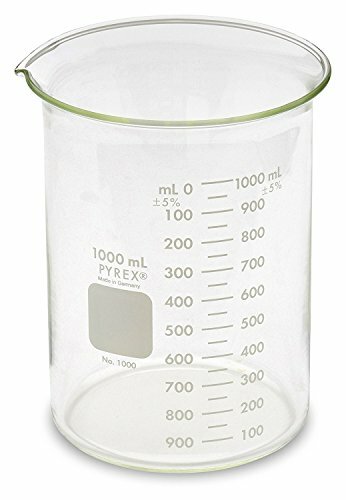 For convenience, these beakers have a double graduated metric scale to indicate approximate content and an extra large marking spot. For PYREX® beaker covers, see Catalog No. 9985 or No. 9990. Reference: ASTM E-960. " 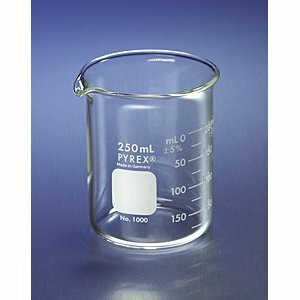 These 1L PYREX Erlenmeyer flasks are designed with heavy duty rims to reduce chipping. Their uniform wall thickness provides the proper balance between mechanical strength and thermal shock resistance.